Hello dear rose friends as the first week of spring ambled on by with lots more daffodils revealing their smiling selves! 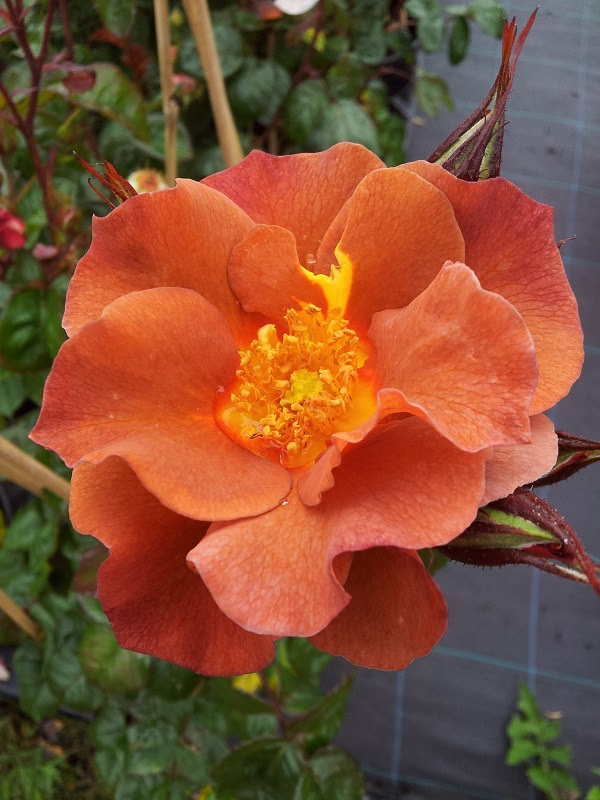 – is one of the first roses to flower on the arches through the nursery – it prides itself as our ‘insect indicator’ … if aphids are around, they’ll definitely be on this rose and very quickly we’ll know whether ladybirds are active. 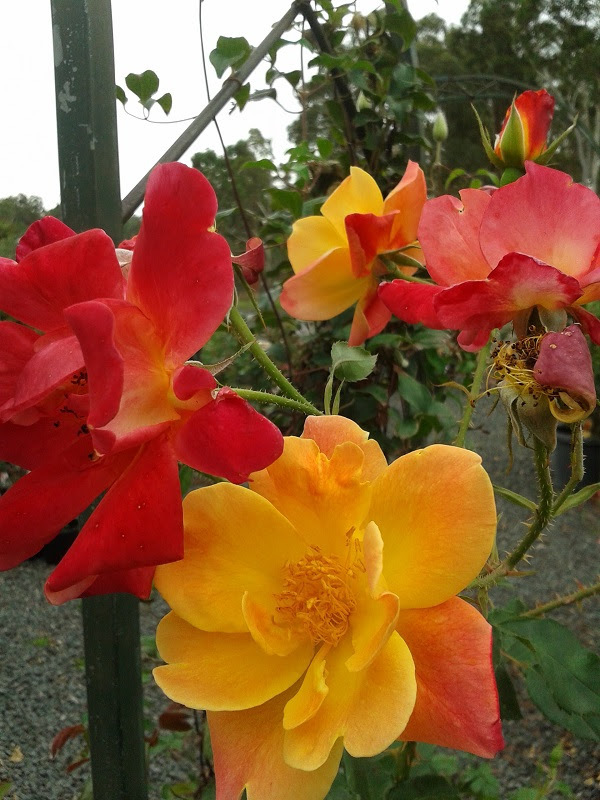 But apart from us ‘using’ this beautiful rose, it provides a most glorious display of multi-coloured blooms continually throughout the season … the bees love it, we love it and you’re sure to love it too! 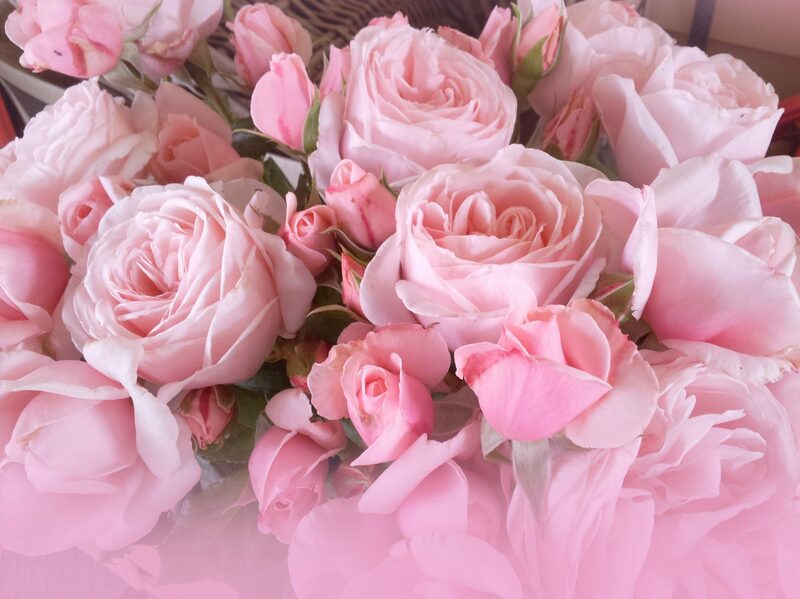 – is a true ‘brown’ colour – very unique and although some unusual-coloured roses can be considered ‘difficult-to-grow’, this rose is very robust, extremely healthy and continual flowering – it could be used as a very dense ground-covering bush of 2 x 2 metres – a very versatile rose! SPEAKING OF BEES … every one of us has a responsibility to encourage bees into our gardens. I urge you to plant flowers for ALL SEASONS to enable bees to support themselves and in turn pollinate our food crops! Q: Why did the flying angel lose his job? A: Because he had harp failure. Permanent naming of roses has been a journey – back at Kilmore I used 45cm long white conduit sticks to which I pop-riveted 25cm lengths of venetian blind and HAND PAINTED with BLACK ENAMEL paint … they were terrific and lasted really well! However, when the 24hour service station opened and there was a lot of night foot-traffic past the gardens, we used to have armloads of the name ‘sticks’ returned to the nursery – mostly but not only, from the swimming pool at the Motel a few doors down! Lots were still there when we destroyed those gardens back in 2012 to move out here to Clonbinane. 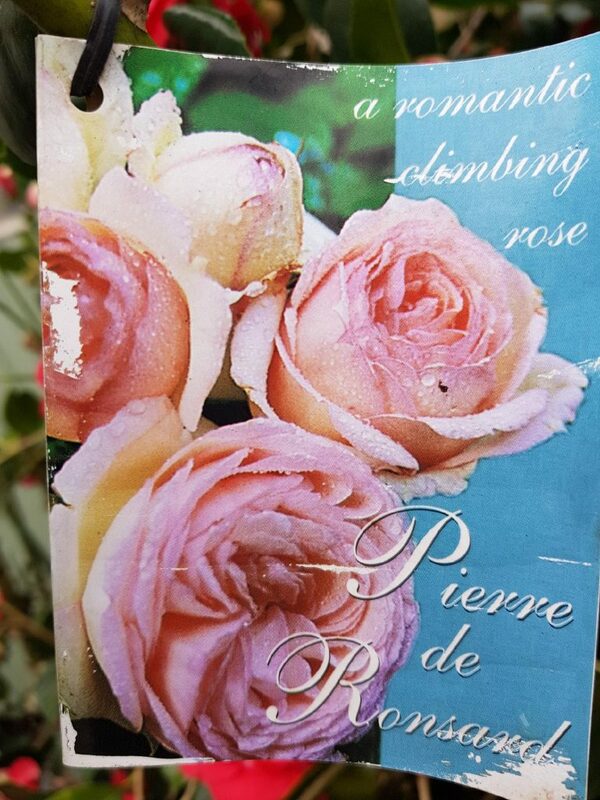 Another thing that has worked is to paint the original label with MARINE LACQUER – I have a PIERRE DE RONSARD label which is still 90% as clear-looking on a plant against a hot tin shed wall facing south-west – it was painted with marine lacquer more than five years ago! In an endeavour to get something even MORE PERMANENT, I had a guy visit who was able to print aluminium tags with a laser printer … unfortunately, it was very expensive, the print way too small and the label too short so got lost under mulch! An expensive experiment indeed!!! Q: Where do birds invest their money? A: In the stork market! Please watch my video below, where I expose foreign-owned multinationals for extorting millions of dollars from small, family businesses in Australian country towns, in the middle of a drought. SHARE WITH ALL YOUR COLLEAGUES, FRIENDS & FAMILY! THIS NEEDS TO GO VIRAL!! Enjoy your week in the garden … remember to take at least 10 minutes to pull some weeds, mow a lawn or trim some plants – those 10 minutes of exercise EVERY day will ensure you live happier for longer!